A one-off settlement subsidy for new students after registration: CNY 1,500 per person. Applicants are not currently studying in Chinese universities. Applicants for Doctoral studies must have master’s degree and be under the age of 40. Application Form for Chinese Government Scholarship, filled in Chinese or in English. Highest diploma (notarized photocopy). If applicants are university students or already employed, they must also provide documents showing their status as university students or on-post employees. Documents in languages other than Chinese or English must be attached with translations in Chinese or English. Applicants for doctoral studies need to provide notarized copies of their undergraduate and graduate transcripts. Applicants for master’s degree studies need to provide notarized copies of their undergraduate transcripts. Transcripts in languages other than Chinese or English must be attached with translations in Chinese or English. A study or research proposal in Chinese or in English (no less than 800 words). Two letters of recommendation from full professors or associate professors. The recommendation letter must be original documents either in Chinese or English and show referee’s phone number and email address. Photocopy of Foreigner Physical Examination Form (Download) (printed by Chinese quarantine authority. Applicants are expected to keep the original copies) filled in English. The medical examinations must cover all the items listed in the Foreigner Physical Examination Form. Incomplete records or those without the signature of the attending physician, the official stamp of the hospital or a sealed photograph of the applicants are invalid. Medical examination results will be valid for 6 months. All applicants are kindly requested to take this factor into consideration as they plan to take the medical examination. Zhejiang University will review all the application materials. Decisions for admission and for granting the scholarships will be made on the basis of the applicants’ competitiveness, academic record and otherwise. The name list of the scholarship awardees for graduate programs will be sent to China Scholarship Council for review in April, 2011. After the name list is reviewed and approved by China Scholarship Council, the scholarship awardees will be notified by the university in June 2011 and Admission Notice with other relevant documents will be sent to them in July 2011. 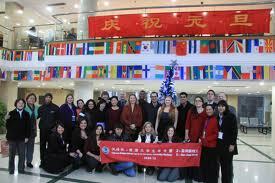 Scholarship students’ affairs are managed according to the relevant regulations of Chinese Government Scholarship. Scholarship students must go through the Annual Review of the Chinese Government Scholarship Status. Scholarship students are not allowed to change their institutions as well as their academic programs or the duration of study specified in the Admission Notice. Scholarship students who have to suspend their studies due to illness must return to their home country for further treatment and recovery. Expenses for the international travel to and from the university will be borne by the students themselves, and their scholarship status will be reserved for one year at most, with the monthly living allowance stopped during the suspension. Scholarships of the students who suspend their studies for reasons other than illness will not be reserved. The International College of Zhejiang University is responsible for the interpretation of the scholarship granting procedures and regulations. Note: The Distinguished International Students Scholarship is set up by the Ministry of Education of China (MOE) to sponsor outstanding international students who have finished their bachelor’s education or above in China and have been enrolled by designated Chinese institutions for higher academic pursuits or are now carrying out their Master’s or Doctoral studies in those institutions. For application details, please visit the web site of China Scholarship Council. Demikianlah artikel mengenai Chinese Government Scholarship 2011 at International College Zhejiang University Semoga Bermanfaat Bagi Anda.